Does Roomba Remember The Room Layout? No Roomba models have ever remembered a room’s layout because that is not how they work. But if you are asking because you are looking for a Roomba that hoovers in a flash, then you might look at the Roomba 960 or 980. No matter how old or new a Roomba model is, all of them work by following a set of programmed instructions and responding to a range of built in sensors. The first Roomba was introduced back in September 2002. In the sixteen years since the 400 series was first launched, every Roomba model has used one of two navigation systems- iAdapt and iAdapt 2. The overwhelming majority of Roomba models, use this first generation system. From the 400 series (launched in 2002) to the 800 series (launched in 2016) all of these models use iAdapt. Most of the time Roombas move in straight lines. Wall Following is where, once a Roomba finds a wall it stays close to it, using the side brushes to pick up debris, until the wall stops. Random Bounce dictates that a Roomba travels in a straight line until it hits an obstacle. When this happens, the Roomba reverses a bit and rotates randomly before heading off in another straight line. “Room crossing” runs from one side of the room to the other. The diagram below highlights the four moves described above. which is part of this article. The main navigational sensors are an infrared beam, a touch sensitive bumper and a wheel drop or cliff detect sensor. This is mounted on top of the a Roomba and it detects obstacles and allows the Roomba to slow down. The bumper is mounted at the front and it stops the Roomba when it collides with an object, such as a chair leg. This infrared sensor is mounted under the front edge of a Roomba and it stops the device when it detects stairs or a “cliff edge”- when the floor drops away. The sensor works by “firing” an infrared beam at the floor. All the time that the beam “hits” the floor, the robotic vacuum will keep moving. When the beam detects that the floor has disappeared, the device will stop. The final built in sensor that all Roomba models have is not directly related to navigation but it does play an important part. The Dirt Detect feature uses a crystal to locate areas on the floor that are relatively dirtier than other areas. The main role of this crystal sensor is to find dirt. However, when it does this a Roomba responds by cleaning the same area repeatedly- until the sensor stops detecting dirt and the Roomba moves on. Once all of these instructions and sensors are combined, a Roomba will clean your room very thoroughly. But because of the random nature of its movement around a room, with all of the “toing and froing”, the Roombas using iAdapt take an absolute age to clean a room. And I am not joking. They are so slow in comparison to manually hoovering a room. Roomba vacuums can also respond to a few types of external sensors as well. Some models of Roomba, such as the 980, come with a couple of these external sensors. But for most models, you will need to purchase them separately. The first generation of these sensors combined virtual walls and lighthouses. The most recent generation of these sensors combined a virtual wall and a halo. A virtual wall is an infrared beam which is “fired” across a doorway or an opening and it stops a Roomba from crossing it. As we have already discussed, Roombas move in very random patterns and this can include trying to clean two or more rooms simultaneously. The lighthouse mode restricts a Roomba to one room until it has been totally cleaned. The Roomba will then be guided into the next room. A halo is a small “force field” that will cover and protect a circular area of up to 4 foot in diameter. This is great to keep your Roomba away from objects such as pet food bowls, pet beds and areas with lots of cables. The iAdapt 2 system is only used by two models of Roomba- the 960 and 980. Introduced in 2015 on the 980, this system uses an infrared camera and sensors to create a map of a room or floor space. Going back to the original focus of this article, the Roomba 900s do not store these maps and use them again at a later date. Although at one point, there were concerns that these maps were being stored and used for other purposes. iAdapt 2 enables these two models to move around a room in a far more logical manner than previous models and therefore to clean much faster. Take a look at the diagram below on the right. Instead of following walls and moving constantly from one side of a room to another, iAdapt 2 allows these devices to clean in the same manner that a manual hoover would by moving from side to side and up and down. The movement and patterns are not too different from the way that you might mow your lawn. Even though Roombas have developed rapidly since their launch in 2002 and despite having a range of built in and external sensors to respond to, none of them can remember the layout of any room. This is not because the robots are not advanced enough, it is because it is an unnecessary skills. For instance, if your Roomba was built to remember the layout of a room, how would it then react and behave if you moved your room around? It might cause some kind of breakdown. 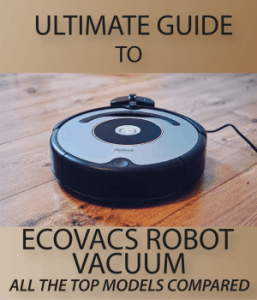 Over time, Roombas have become much quicker at navigating around rooms and spaces in your home thanks to a very intelligent navigation system. What Is The Best Roomba For Pet Owners? Are Robotic Hoovers Any Good?